It's December, and a busy month! 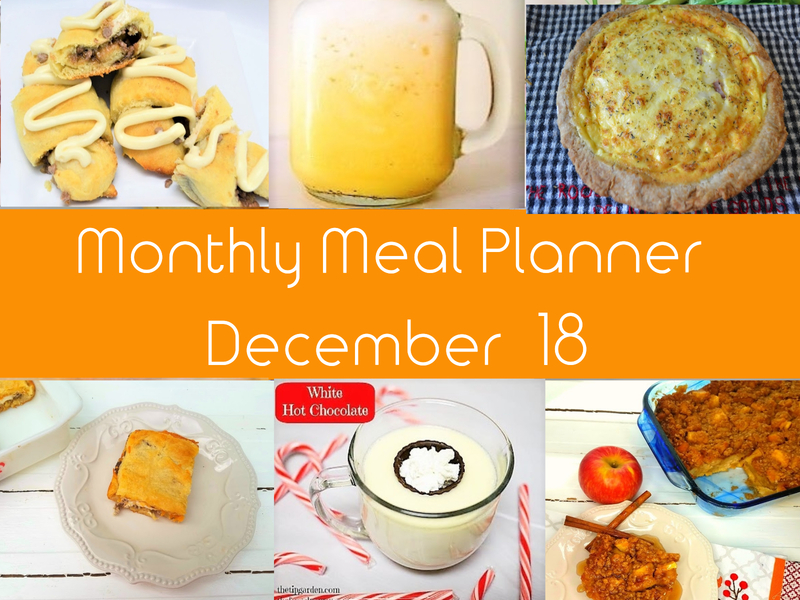 I decided to change up the Monthly Meal planner and make it a month full of breakfast ideas! All perfect for the morning of any Holiday Celebration! Holiday mornings are full of family, fun, and memories, and food is often a part of the memory making! If you are in need of a few new ideas for creating those memories and making those bellies happy, here are some that are perfect to make! 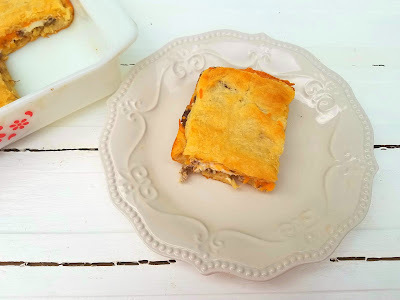 With savory sausage, creamy cheese layered between buttery, flaky croissant dough it bakes up beautifully and deliciously! It's a crowd pleaser for sure, and easy to pull together quickly. This recipe makes 2 quiches. I love to use Swiss cheese with the ham, but since their is to, it's perfect for making the 2nd one with a different cheese, Cheddar, or Guerrier are both my favorite go to options. This recipe makes such a wonderful breakfast or brunch! It's quickly gobbled up by everyone, so making two is perfect! You can make the quiche recipe ahead unbaked and then pull out and bake the morning you need it! these cinnamon crescent rolls, let you make homemade cinnamon roll ups semi-homemade! They are oh so easy and oh so tasty! Perfect to make for a Holiday morning, or make and take to a get together! They won't last! I've taken my classic Freezer Meal French Toast Casserole and completely turned it up a notch by combining it with Apple Cobbler! I promise, you make this for a family gathering, or potluck and you won't bring home any left overs! 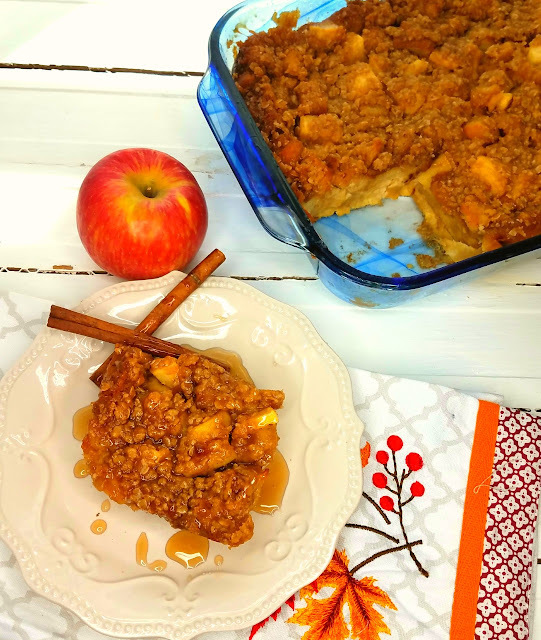 The scents of apples, cinnamon, and the Brown Sugar Oatmeal Cobbler Topping all baking, will fill your home with such a divine aroma, that your family will be drawn to the table! I always add this into my Hot Cocoa Bar! 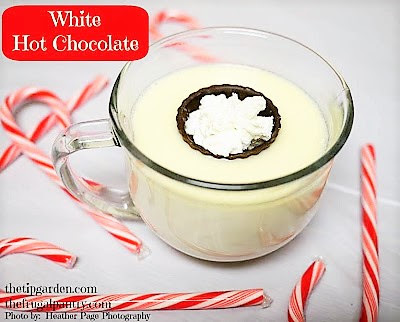 I make it with regular milk chocolate also, and for a choice of 2 flavors of Hot Cocoa, and then have all sorts of fun add in's and stirring sticks like candy canes, chocolate "cups" to float squirts of whip cream, so they all melt into the cocoa. This White Cocoa is quite popular when I make it and I always get requests for the recipe AND to make my cocoa bar again every year. 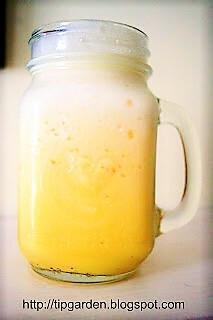 A classic Orange Julius is the perfect drink to make for your families breakfast (or anytime!) but I especially love it for Christmas Morning. It just seems extra jubilant that bright, fun morning!